After obtaining aid from the lords of the realm in Ultima I, your character travels back in time, locates the mad wizard Mondain, slays him, and ends his reign of terror. In Ultima II: Revenge of the Enchantress, Mondain's protégé, Minax, who studied the mad wizard's teachings and writings, returns to wreak vengeance on the person who slew her teacher and lover -- you. And, instead of waiting for you to return to her native land of Sosaria, she wreaks havoc on your own Earth. Throughout Ultima II: Revenge of the Enchantress, your quest is quite different in scope from its predecessor. Earth is turned into a half-modern, half-fantasy world by the forces of magic and, as a result, things are much stranger than one might expect. As explained in the introduction, your tasks in the game are to "Battle strange creatures across the face of the Earth, search for clues in careless words spoken at the local pub, traverse deep, dark, deadly dungeons and tall, terrifying towers...and conquer Time itself to battle Minax the Enchantress." 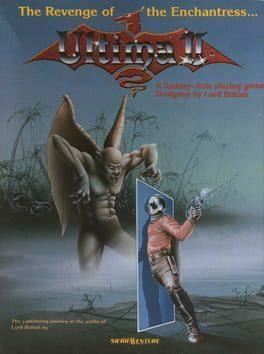 Ultima II: The Revenge of the Enchantress is available from 4.99 to 4.99 from 1 shops.